Hello friends! I hope you’re adjusting well after the holiday (it has been a struggle for us) and are having a great week. 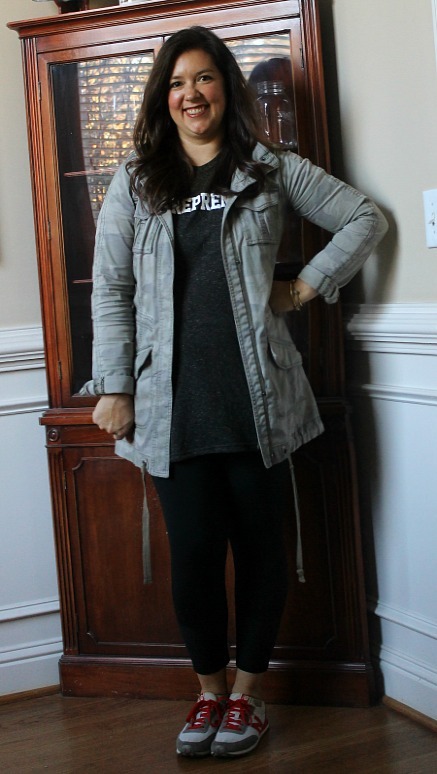 Today I’m sharing what I wore over the last few weeks. It’s been a while! 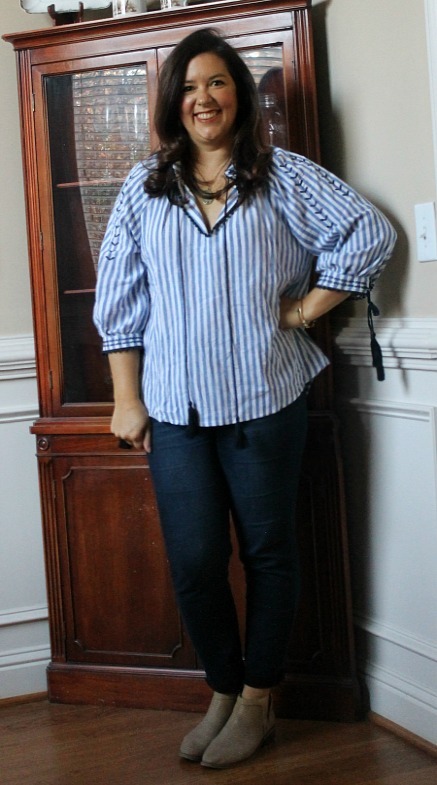 I’m embarrassed to admit how many blue striped embroidered tops I have in my closet, but I just can’t get enough. 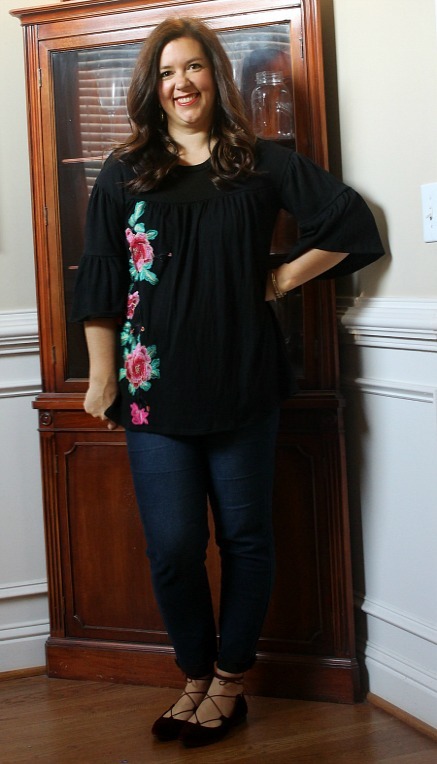 I love the navy detail on this one from Rosegal, and the fact that I can pretty much wear it year-round! I wanted to wear patriotic colors when we volunteered at the VEO on Veteran’s Day, and so I relied upon my trusty red blouse to do the trick. I got this a few years ago, and remains a go-to in my closet. 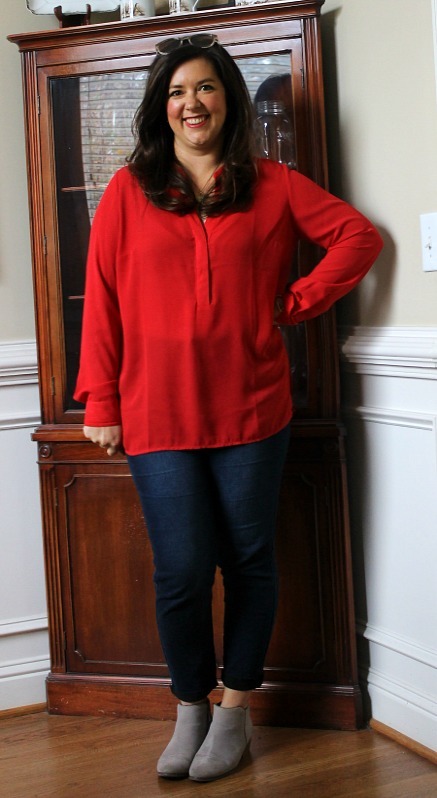 I love the color, and all I need is a pair of jeans and flats or booties to create my favorite mom uniform! I wore this to church a few Sundays back, and felt like I was wearing my pajamas! 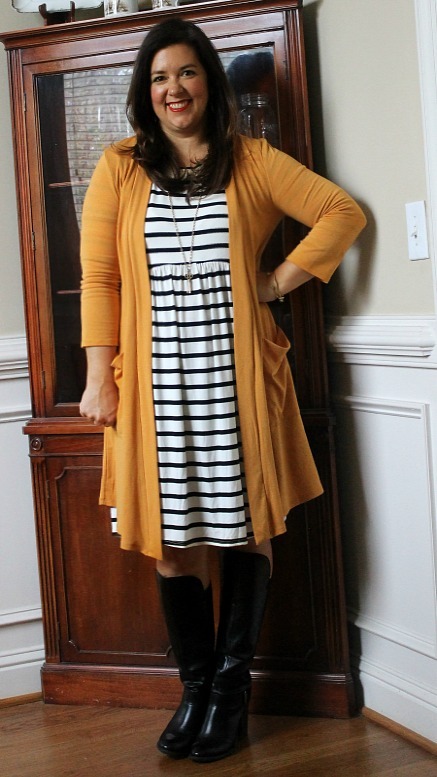 I love a good striped dress, and I knew I liked this mustard cardi, I would actually love to have a few more in other colors because it’s so soft and versatile! In addition to all the knowledge and information I brought home from Business Boutique at the beginning of this month, one of my very favorite things I brought home was this cute charcoal gray ‘Entrepreneur” t shirt! I have been wearing it over and over, and wore it with a pair of black leggings and my fave camo jacket last week. Yellow is my favorite color, though you wouldn’t know it from my closet! 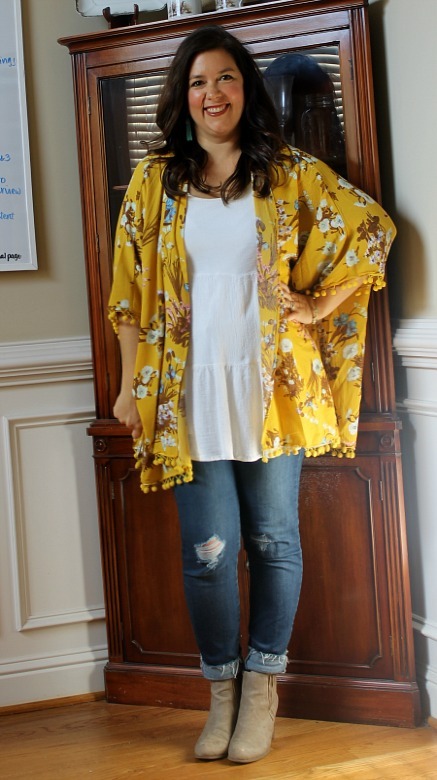 But when I saw this yellow floral kimono, I knew I needed it. I wore it to the Thanksgiving feast at the kids school, and loved it! Being kind of statement piece, I likely won’t wear it terribly often, but I love it all the same. Actually, if you were to look through my closet- you would think that gray is my favorite color! I have a thing for gray t-shirts and gray sweaters and love the high low peplum on this pretty one. I did a little birthday and Christmas shopping the other day and wore this out on the town. 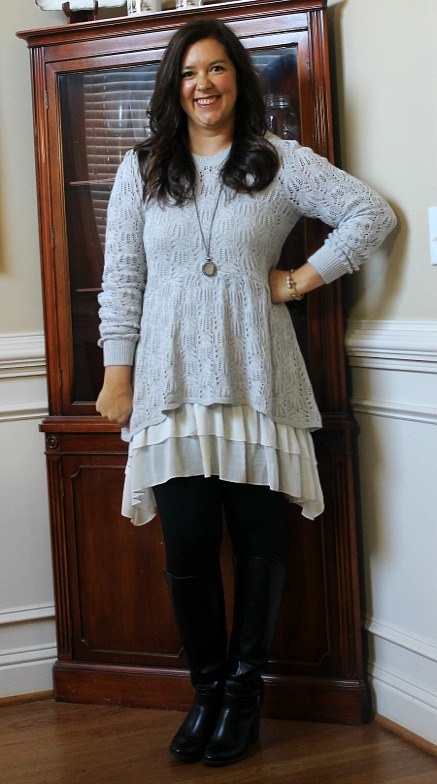 The gray sweater is cute plain with just jeans, but is a little girlier with a ruffled extender! We went out for dinner in Blue Ridge for my mom’s birthday, and I packed this swiss dot babydoll dress to wear. 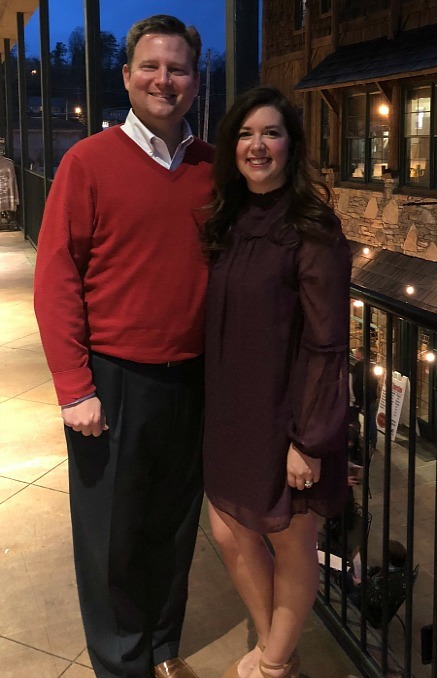 My sister in law and I decided I need to wear more jeweltones, and that the eggplant color of the dress was beautiful! I’ll be on the lookout for more purples, navys, and dark greens! 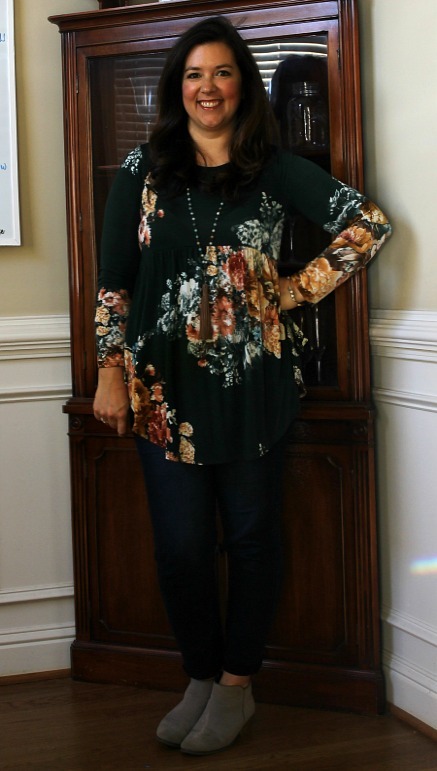 I wore this green floral babydoll top for a portion of our Thanksgiving excursions. It’s super comfortable and looks like fall to me, ha! 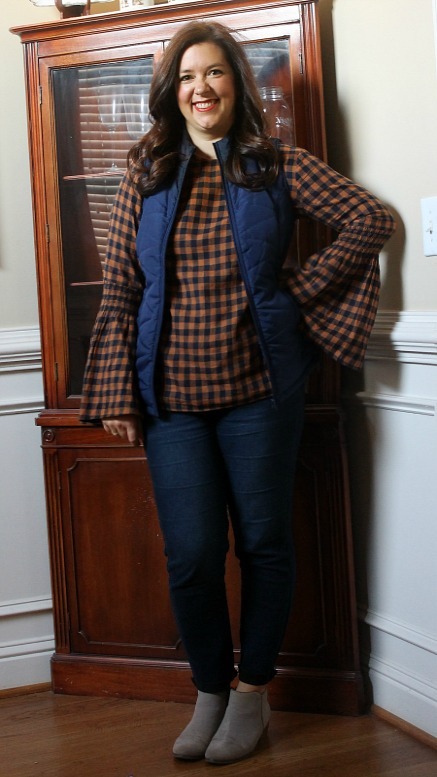 Statement Sleeves + Plaid + Flannel = One of my favorite shirts this fall! My local TJ Maxx has been on fire this fall. This plaid top has been on repeat. I wore it up to Blue Ridge for a perfect fall day. 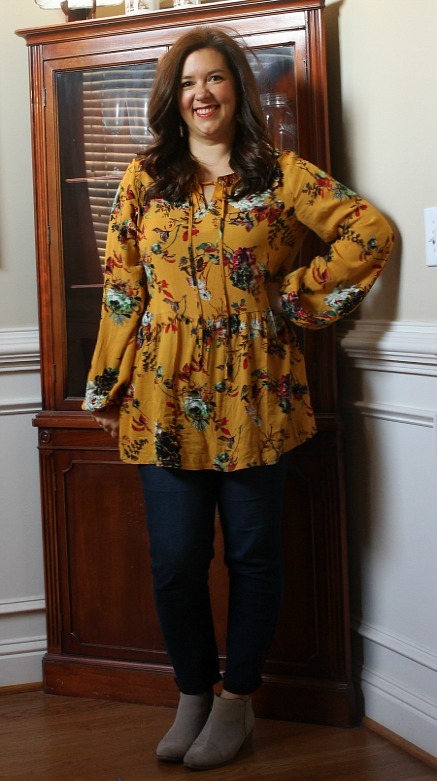 This mustard floral peplum blouse from Rosegal has been on repeat too! I also wore this in Blue Ridge when we ate Thanksgiving dinner with my family, because it looks Thanksgiving-y to me, ha. It’s comfortable and I love the color. Just one of my favorite tops right now! We volunteered at the VA Hospital the day before Thanksgiving, giving out bundles of food to low income and homeless veterans for the holiday. 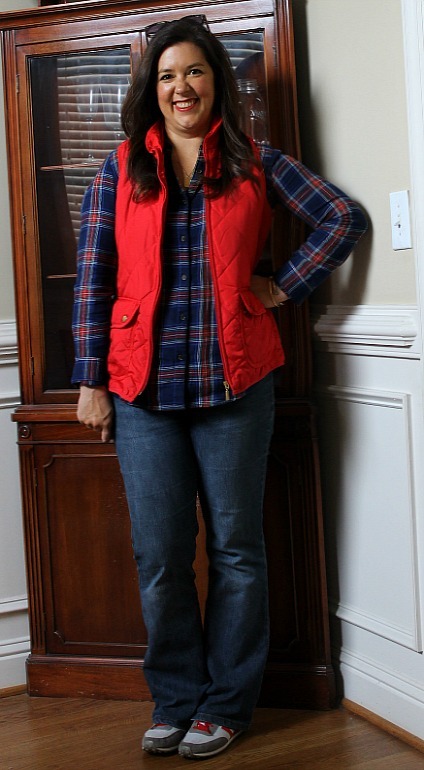 I knew I needed to dress for comfort, and it was going to be a bit chilly, so a flannel button-up shirt and vest was the way to go. 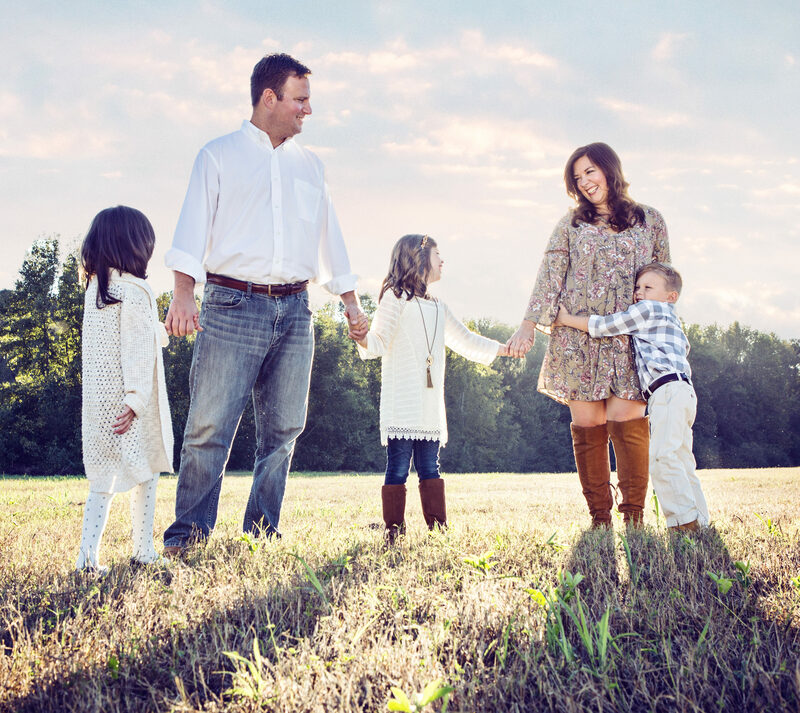 It was really a great day, and a great way to spend the day before we give thanks for all we have. That’s it for today! 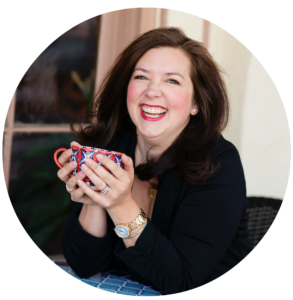 I’ll be linking up with Lindsey at the Pleated Poppy, so pop over and check out all the great inspiration and outfit ideas!